The government announced earlier this year that the consortia of Moi University– JP SA Couto and Jomo Kenyatta University of Science and Technology (JKUAT)- Positivo BGH won the Kshs. 17 Billion tender to supply laptops. The project referred to as the Digital literacy Program was to begin in a pilot commencing 22nd February 2016 with 150 schools selected. The schools were an urban, peri-urban and rural school. An additional nine schools are allotted to Special Education Schools. The devices to be issued include 14-inch laptops for teachers, 10 inch tablets for students, while special need pupils will have 12 inch laptops with brail key boards, head phones and an embosser. The devices are loaded with content and branded differently with luminous green devices for the learners digital device (LDD) while teachers will get a blue teachers digital device (TDD). Each school will also receive a projector, server and router. 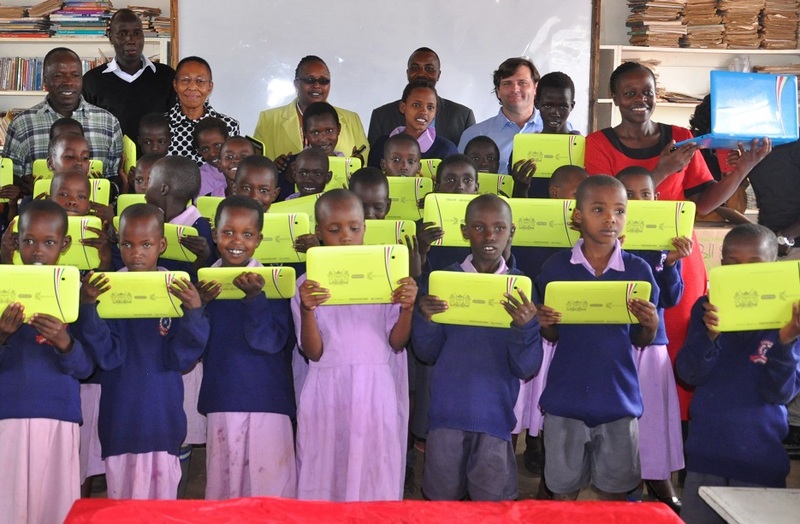 Earlier this year, the ICT Authority of Kenya, announced the delivery and installation of gadgets to 4 schools of the 150. The four schools include Katheka AIC Primary in Machakos,Sparki Primary in Mombasa, Hill Primary in Eldoret and Ibisil Primary in Kajiado. The Authority has now announced the plan for installation in the 146 other schools scheduled to take place between 3rd and 13th May 2016. The government plans to hold county sensitization workshops for stakeholders on the project.